Easy peasy, yummy smoothie bowl! I’ve got a confession. I hate breakfast. And as the most important meal of the day, I struggle to get the energy I need to start it off right. That’s where these delicious smoothie bowls come in, they are super nutritious, energy fueling and they look pretty awesome too! 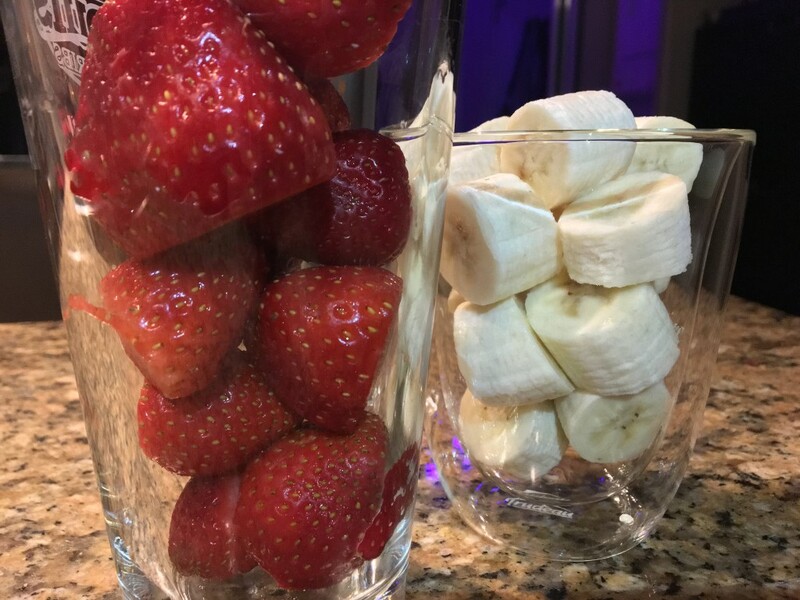 My favourite combination of fruits is strawberries and bananas so those are a must in every one of my smoothie bowls! I usually start with those two as a base, and then add fruits as I find them in my fridge. This particular morning I was feeling a bit adventurous so I added blueberries and grapes. The blueberries were great and broke up a lot in the blender, but the grapes are probably best served as a topping, the skin didn’t shred that much so there were a bunch of grape skins floating about (still tasty though!). The best part comes after when you get to top it with all the extra fruit left over. This morning I used grapes, blackberries, and blueberries to snaz up my smoothie bowl. I sprinkled some of Stephano’s Dark Chocolate Raspberry Granola and a few mini dark chocolate chips, because, chocolate. I love making these smoothie bowls! They are so quick to make and boost my energy levels after the first bite! https://www.asanavanessa.com/wp-content/uploads/2016/03/IMG_6571.jpg 3022 3263 vanessa https://www.asanavanessa.com/wp-content/uploads/2016/11/asanavanessa-logo-white-blackbead.svg vanessa2016-09-11 11:40:032017-11-02 16:14:41Easy peasy, yummy smoothie bowl!